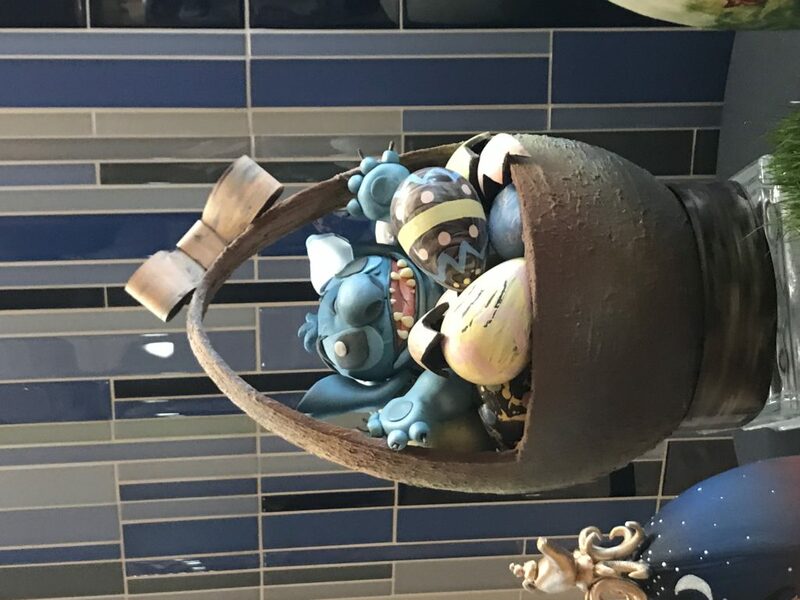 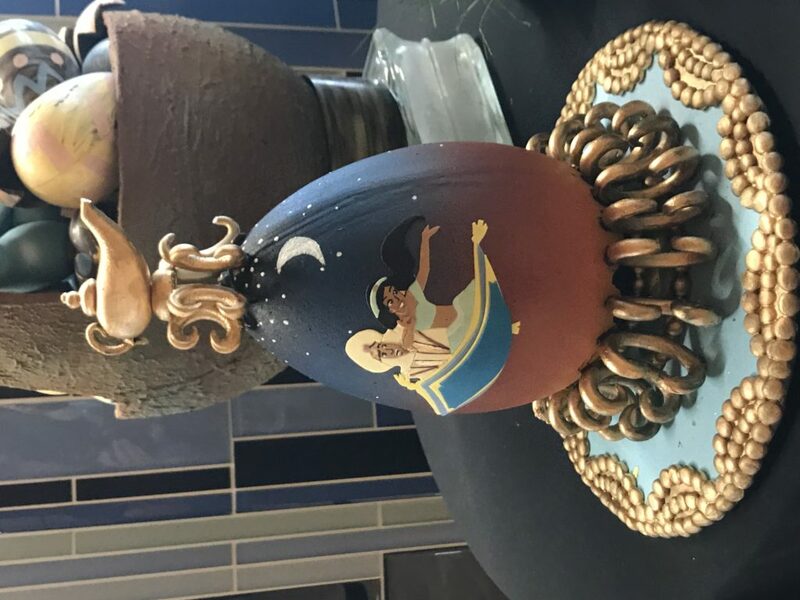 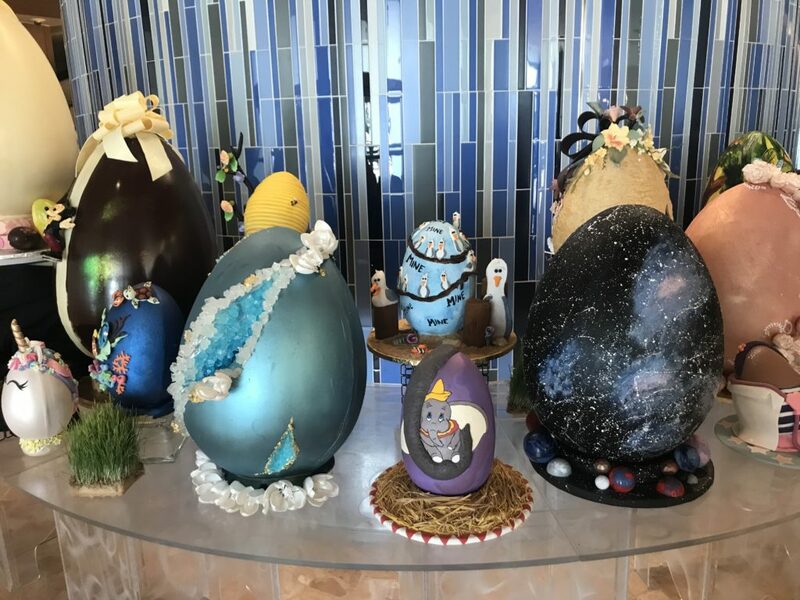 I had so much fun exploring the Easter Egg display at The Grand Floridian that I couldn’t pass up the opportunity to discover more amazing eggs at The Contemporary. 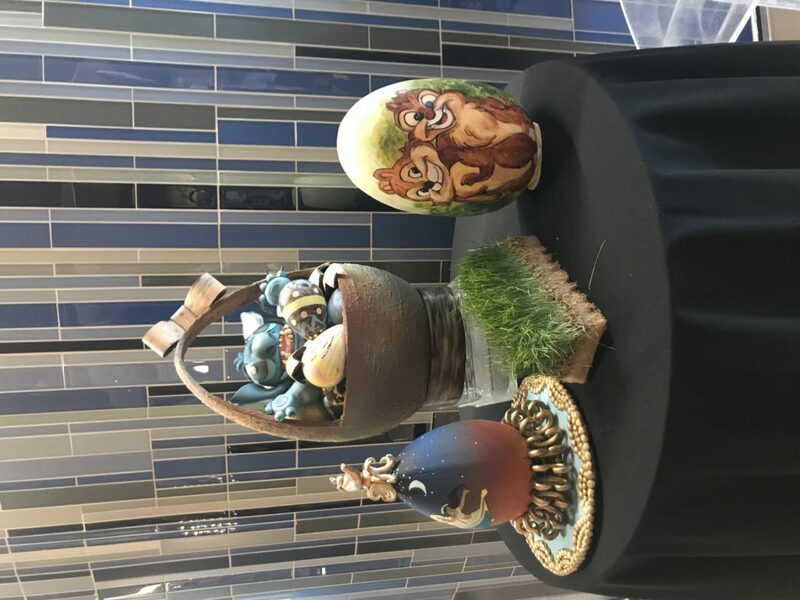 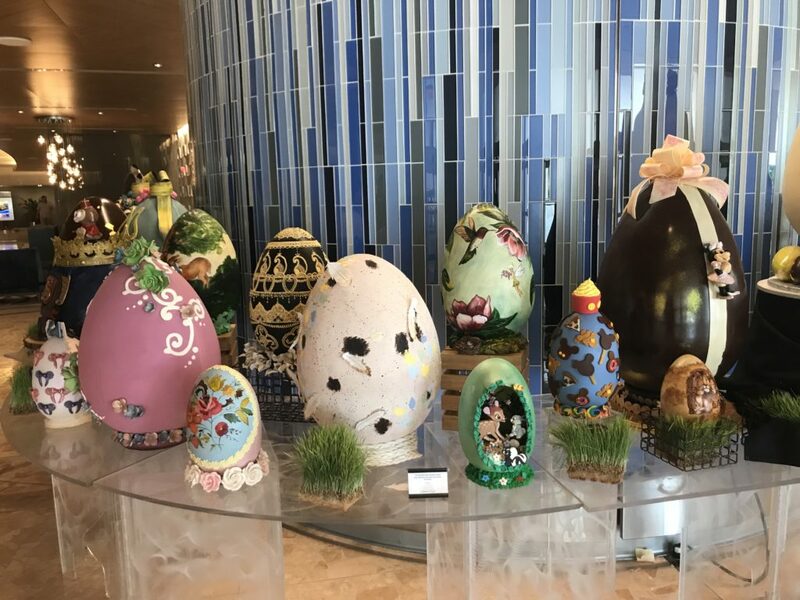 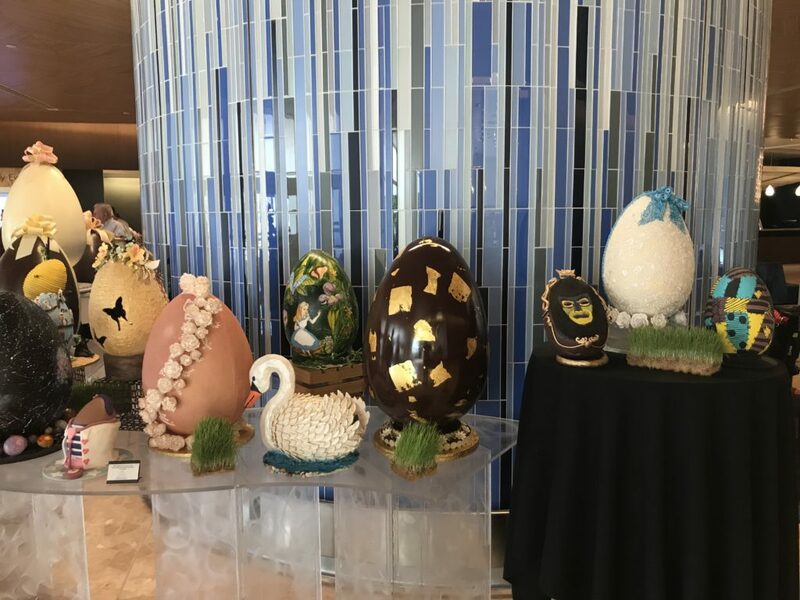 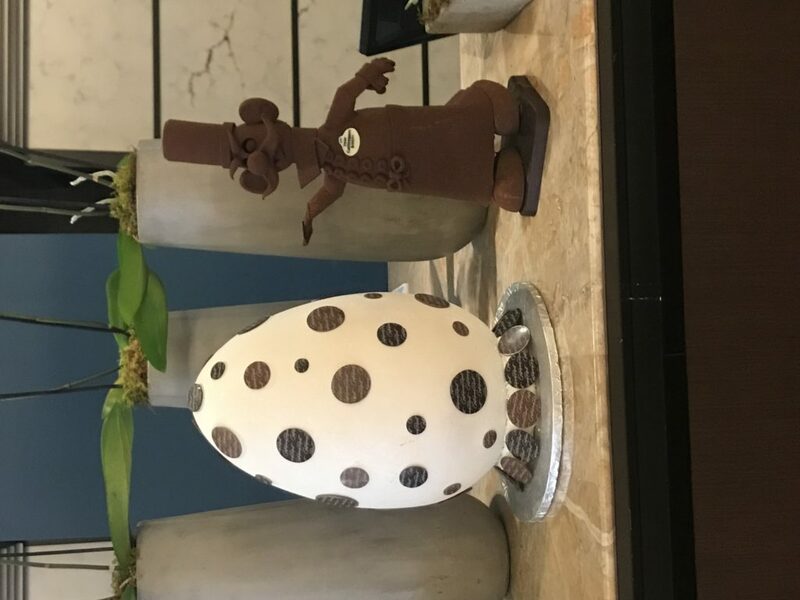 These are beautifully decorated by a team of bakers led by pastry Chef Jeff Barnes and this is their 7th annual Easter Egg Display. 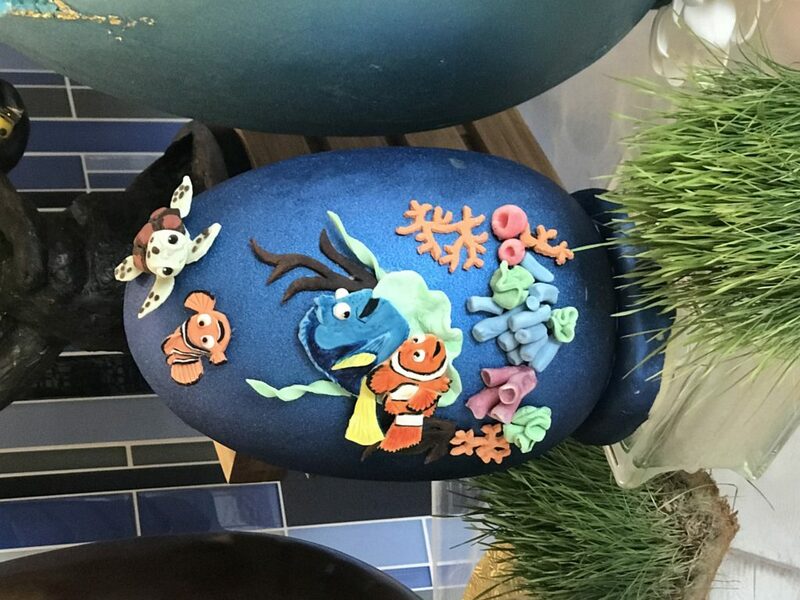 It takes over three weeks for them to create these eggs and they can use a variety of edible products. 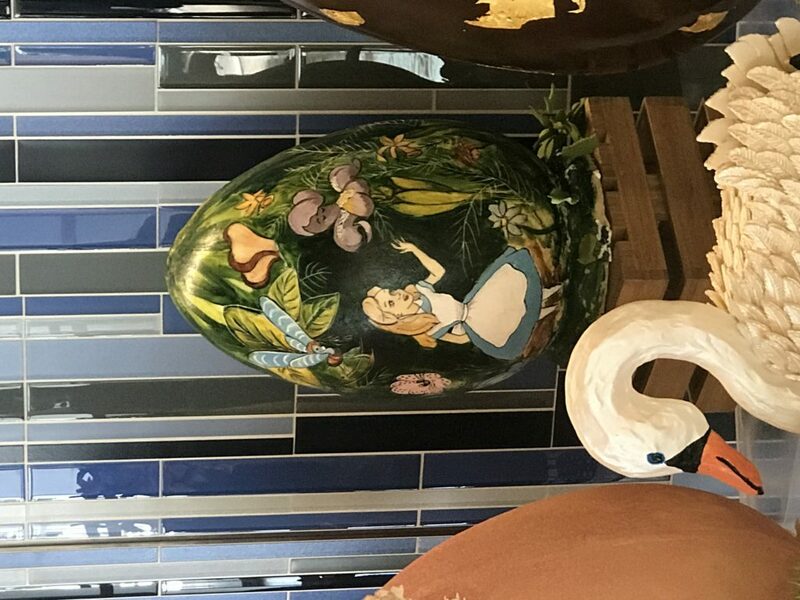 These are hollow chocolate eggs that weigh from 2 to 40 pounds and will stand between 3 and 25 inches tall. 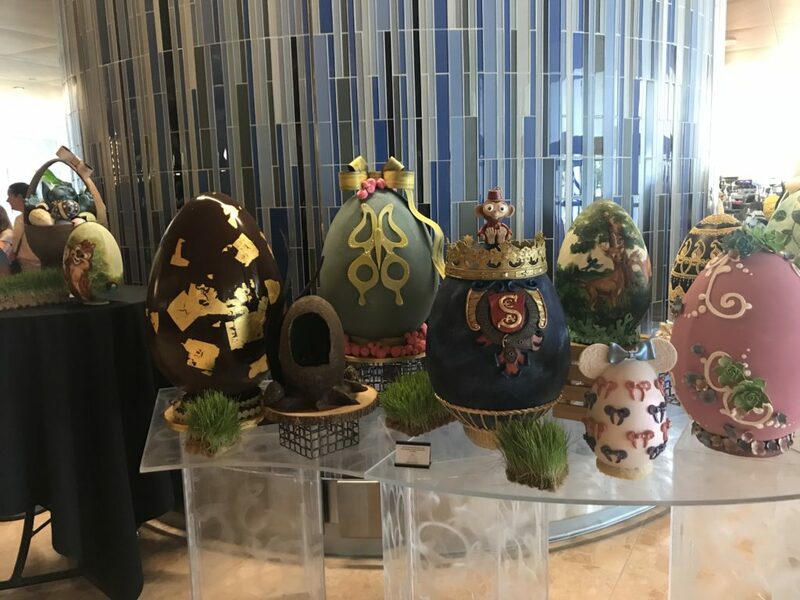 If you have a chance to visit The Contemporary head to the first floor near check-in to see these incredible creations. 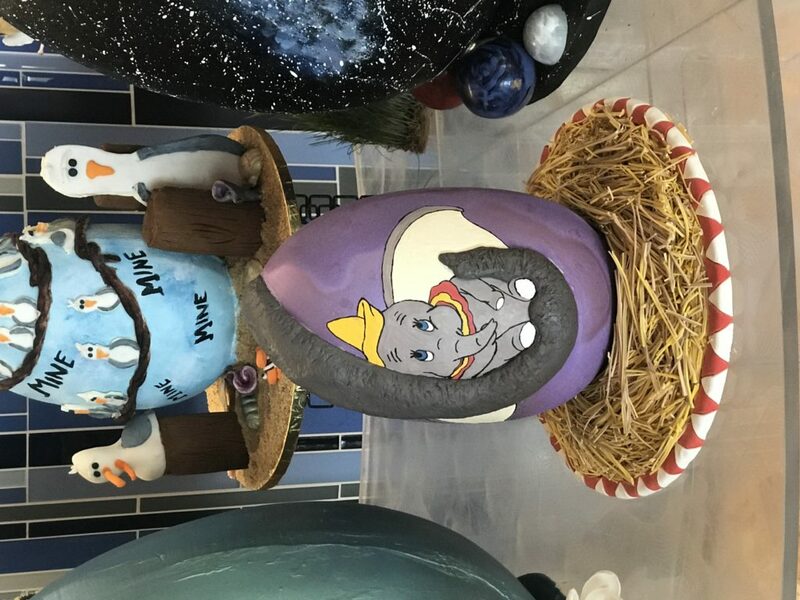 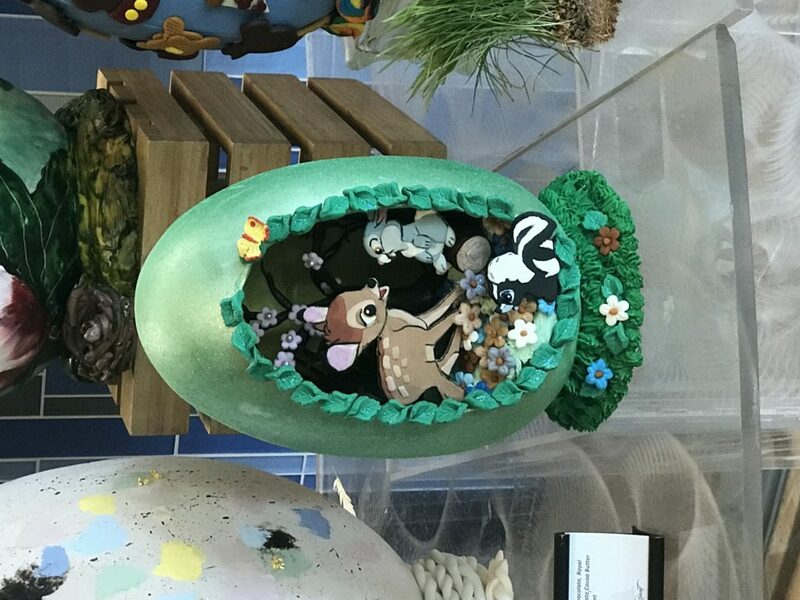 Spring is a wonderful time to visit Disney World but these Easter Egg displays give you even more reason to plan a visit. 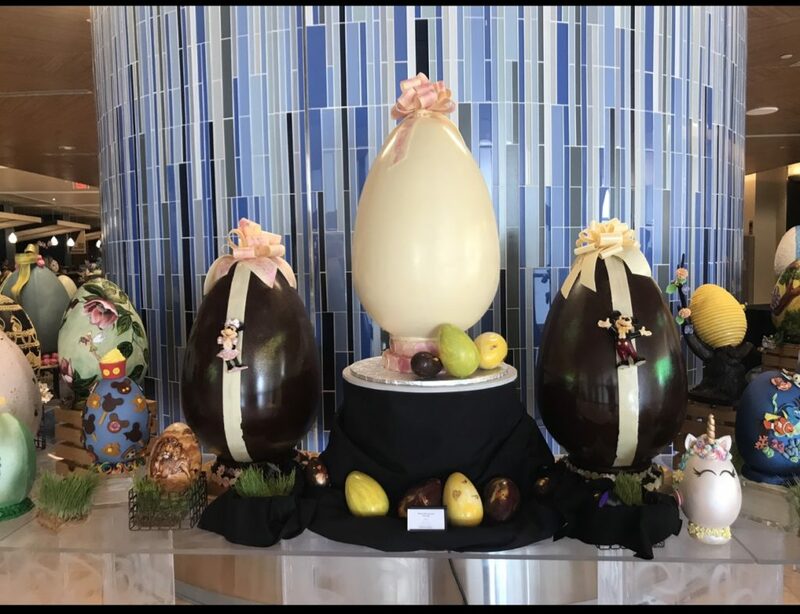 Plan a little extra time to experience these masterful creations.